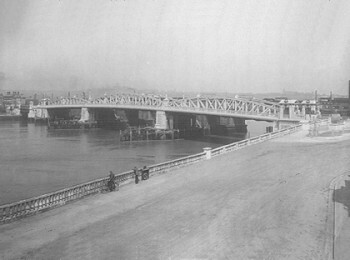 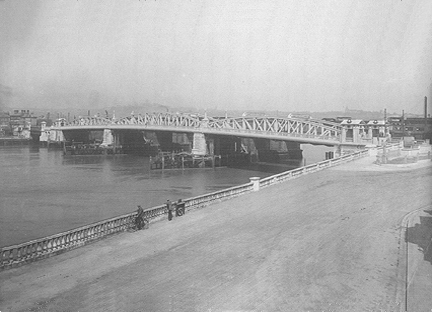 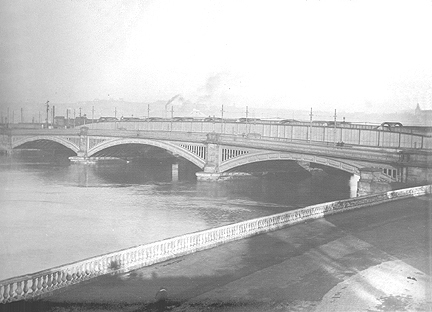 The Victorian Bridge and Rochester Esplanade Before Reconstruction. 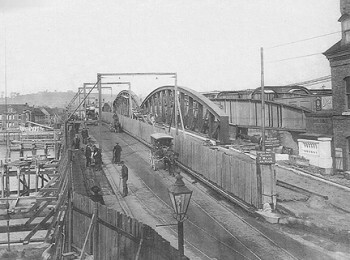 Temporary Roadway and Footpath on the Upstream Side While Reconstruction Proceeds on the Downstream Side. 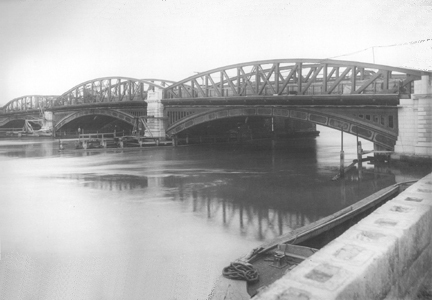 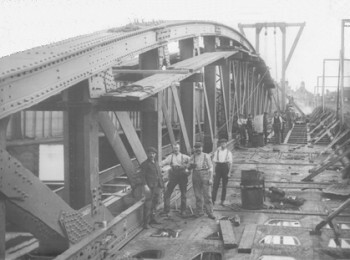 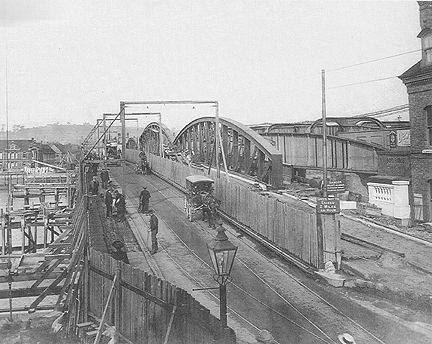 Strood Span showing Girders and Cast Iron Plates. 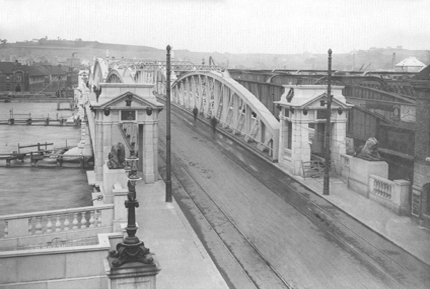 Reconstructed Bridge showing Steel Arches Above the Roadway and Cast Iron Arches Below. 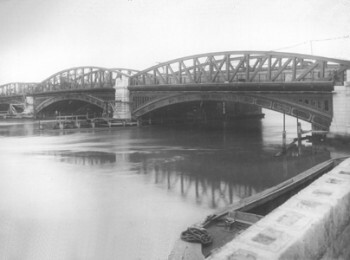 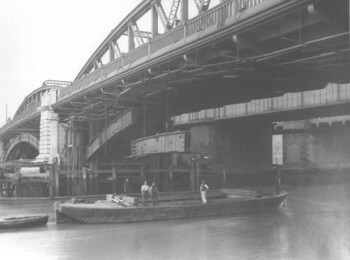 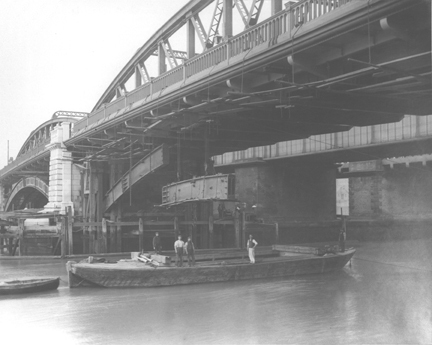 Removal of Cast Iron Arches Below the Rochester Span. 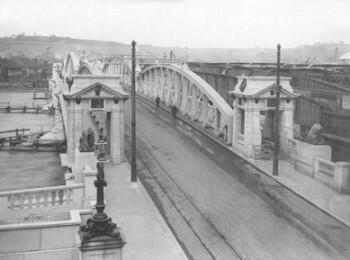 Reconstructed Rochester Approach showing Tramway Tracks Across the Bridge. Rochester Bridge and Esplanade After Reconstruction.